While skewness and kurtosis are not as often calculated and reported as mean and standard deviation, they can be useful at times. Skewness is the 3rd moment around the mean, and characterizes whether the distribution is symmetric (skewness=0). Kurtosis is a function of the 4th central moment, and characterizes peakedness, where the normal distribution has a value of 3 and smaller values correspond to thinner tails (less peakedness). 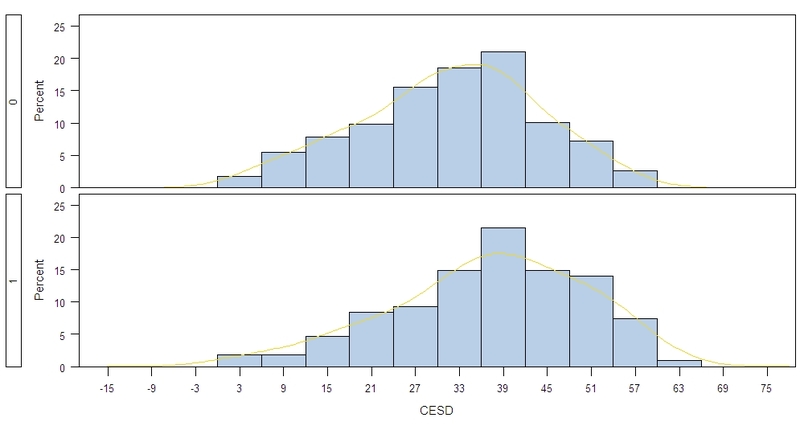 Some packages (including SAS) subtract three from the kurtosis, so that the normal distribution has a kurtosis of 0 (this is sometimes called excess kurtosis. SAS includes much detail on the moments and other statistics in the output from proc univariate. As usual, the quantity of output can be off-putting for new users and students. Here we extract the moments we need with the ODS system. 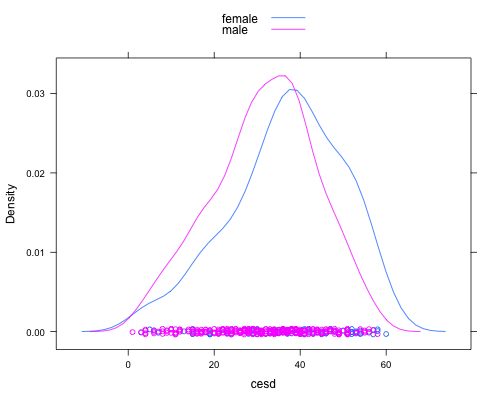 We also generate kernel density estimates roughly analogous to the densityplot() results shown above. We note that the default is to produce unbiased (REML) estimates, rather than the biased method of moments estimator produced by the kurtosis() function (and that SAS presents the excess kurtosis).